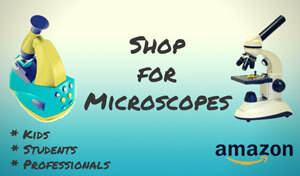 Buying a set of prepared microscope slides is often a fun and useful purchase for the hobby microscope user or student. 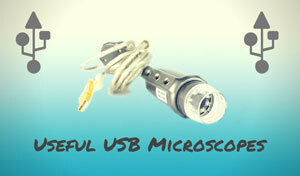 After all, having a microscope is only fun when there is something to be seen! The Meade 904 slide set gives users twenty-five interesting slides to get their explorations started. When it comes to slide preparation, the Meade 904 slide set takes out all the work. Making slides that are viewable takes practice and patience. While it is a great skill to hone, the Meade 904 set gives the user something to see until they can make their own quality slides. 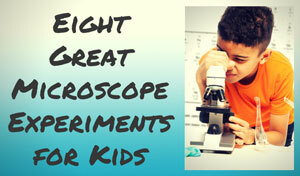 As you can see, this set of prepared microscope slides covers a wide range of topics. The plant world is represented by several different slides including the tip of a lily stamen, a section of where the lily seeds reside, the leafy body of lichen, the stem of a tilia, outer cells of an onion leaf, a smooth leaf of a Pittosporum, and cytoplasm that connects adjacent plant cells. Additionally, the Meade 904 set has fungi specimens. There is a sample of the family Moniliacea, which become penicillin when petrified. There is also a cross section of a mushroom. This set also covers a range of internal systems in the body. There are slides of the reproductive system of a flatworm, as well as tissue from the foot and throat of a bee. Other system samples include: a multi-layered scale tissue, flexible connective tissue, fatty connective tissue, blood smear, voluntary muscle tissue, and blood channels. Also included in the set are samples of contractile involuntary muscle tissue, the components of a neuron, small intestine, heart, and tongue samples. Enough to keep a curious kid in a state of grossed out fascination for hours! This slide set then moves on to represent the simple organisms. It has slides of bacteria, cocci, bacilli, and spirillia. There is a slide of a fresh water protozoan as well as a close up slide of the protozoan muscle cells. For the most part this slide set is rated well, although there have been some complaints. Some users found duplicate samples, which means they did not get the entire twenty-five slides that they paid for. One user even reported having seven doubles. This set of prepared microscope slides also does not come with a guide. This can make it difficult to for users to know what they are looking at, and makes it even more of a challenge if they need to explain the slides to someone else. A quick fix is to just use Google to find info on what you're seeing. A little extra work, but worth it for a true educational experience. 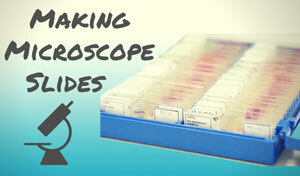 These prepared microscope slides from Meade are a great addition to a microscope. The set of twenty-five slides covers a variety of topics, is well made, and is ready to be used right out of the box. 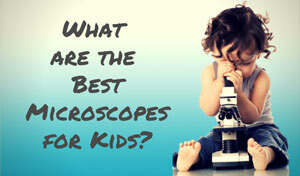 It can help the budding scientist get started immediately, and makes learning about a microscope much easier and more fun. Recommended for: There are several types of users that can benefit from this set, from curious kids to the curious kid at heart. Traditional classrooms, home schooled students, or even novice scientists will enjoy the convenience and fun of these slides. 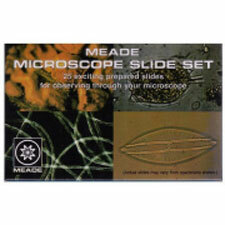 Buy the Meade Instruments Microscope Slide Sets on Ebay!